The medical centers and hospitals that participate in Makeover Travel’s network have been carefully selected and all have received international accreditation by quality and service organizations. 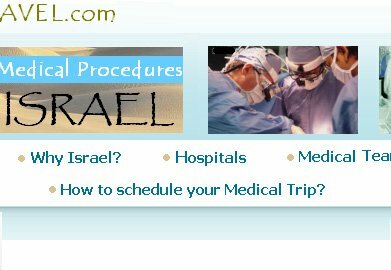 Thanks to our experience, we are able to offer you the best hospitals & Medical Centers in Israel, that provide world class treatment and care. All of them are affiliated with Israel's top academic and research institutions, and are considered among the country's distinguished seats for medical education and research. 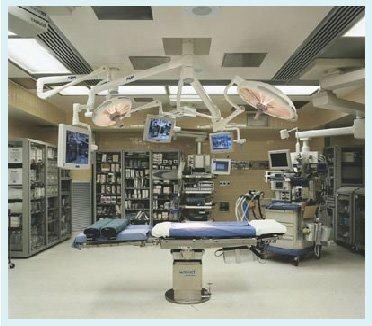 These are modern hospitals that are often newer and have much better technology and equipment than hospitals in the USA, UK or Europe. 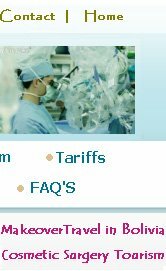 The surgical procedures are performed with the same technology and expertise, yet cost a fraction of the price. Our hospitals expertise extends beyond Israel's borders, as it offers its interdisciplinary medical capabilities and services to people from all over the world. From Europe to the USA, South & Central America, Asia, Middle East and the Mediterranean Basin. 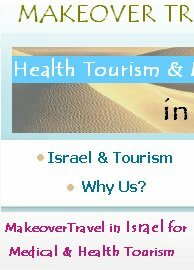 All of them are leading hospitals in Israel providing medical services to tourists. Our patients are always satisfied with the high standards of our medical staff and facilities, as well as our personal and dedicated approach to each and every patient. Most of our hospitals serve as a teaching and research center affiliated with Medical School and Israeli Universities. They are national referral centers and hospitals for various specialties. These include trauma, adult neurosurgery, pediatric neurosurgery, orthopedic oncology, surgical oncology, kidney-pancreas transplants and liver transplants, and microsurgery on the nervous system. 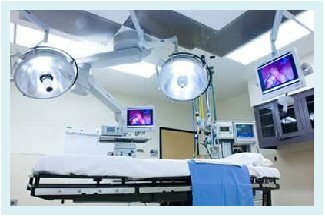 Our hospitals are continuously invest a great deal of resources in order to maintain their position at the forefront of technologically-advanced medical centers, acquiring and utilizing the latest medical equipment. - ERCP, EUS, Confocal Colonoscopy, etc., a Motility Lab and a Liver Unit which treats patients with fatty liver and performs noninvasive procedures for evaluating liver fibrosis. - Virtuals, non-invasive colonoscopy utilizing high-speed multislice CT scanners to help screen, diagnose and prevent colon cancer. The procedure - which has proved to be almost as accurate as conventional colonoscopy - provides 2D and 3D images of the colon without the risks and discomfort of conventional colonoscopy. Results are immediately reviewed by specialist radiologists, and if necessary, the patient immediately undergoes endoscopic colonoscopy. - Virtuals, non-invasive Cardiovascular CT which provide 3D pictures of the patient's heart and blood vessels, thereby allowing the cardiologist to evaluate arterial blockages that may require intervention. 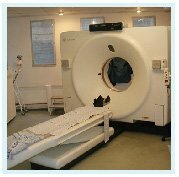 - Magnetic Resonance Imaging (MRI) Institute equipped with the latest MRI technology, providing precise images of body organs, central nervous system (head, neck and spine) and the body's joints, including cartilages. A significant feature of the MRI technology is its ability to provide precise and mapping of the brain in real time, thus minimizing injury to healthy brain tissue during surgery. 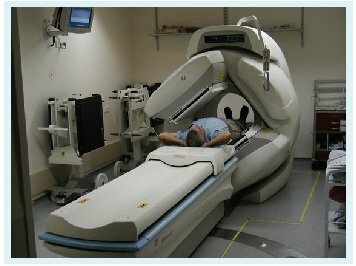 - Interventional Radiology (Angiography) for the diagnosis and treatment of a wide range of conditions such as blood vessel malformations, as well as diseases and obstructions throughout the body, including aneurysms, deep-vein thrombosis, varicose veins, liver and bile duct obstructions, peripheral arterial diseases, vascular diseases, blockage in kidney arteries, etc. Angiography is also used to treat benign and malignant tumors, to place dialysis grafts, and to catheterize central veins. - Neuroradiology services for the diagnosis and treatment of abnormalities and diseases of the central nervous system (head, neck and spine). -Comprehensive Ultrasound Units using the most advanced 2 and 3-dimensional ultrasound and Doppler technologies. - Pediatric Radiology Units providing all specialized pediatric diagnostic imaging examinations. - Institutes of Nuclear Medicine which perform scanning examinations using radioactive dyes that enable imaging of disease processes, including PET-CT scans. Over 150 laboratories which provide extensive testing in all medical fields, including clinical biochemistry, hematology, microbiology and endocrinology. The 1.400 physicians of these hospitals provide comprehensive care in a broad spectrum of diseases. Physicians work together in coordination with the various departments to provide coordinated care for patients whose complex diseases or injuries demand a multidisciplinary approach. As an international patient, the patient care is coordinated by the staff of our International Services from the moment he first contact us from his home country, throughout his at our hospitals, and until after his return home. Here are some of the services you can expect from International Services.